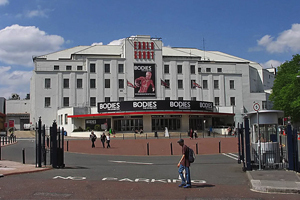 EC&O Venues has promoted Tom Lambregts to head of marketing at its venues, including Earls Court. Lambregts has worked at EC&O venues for three years as digital marketing manager, and previously at Clarion Events. This year, he has overseen the launch of the new website, implemented a social media strategy, and improved the venue’s virtual tours. Lambregts has also delivered talks on digital marketing to both clients and the industry as a whole. EC&O Venues commercial director Anna Golden said: "I am delighted that Tom has accepted the position of head of marketing. During the past three years he has demonstrated both his ability and dedication and I’m confident that he will continue to lead the marketing team with the same passion."